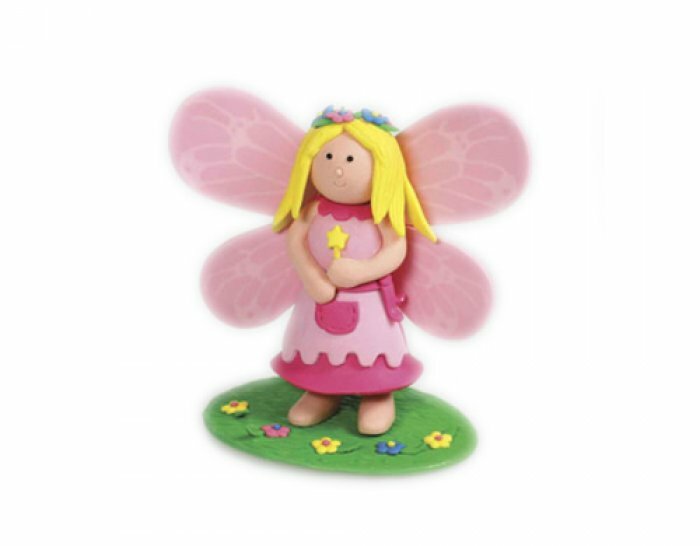 This cute Flower Fairy will really finish off your fairy inspired Cake Design! The little decorations are hand made from cold porcelain or otherwise known as claydough and are perfect decorations to add to your cakes. The lovely nature of cold porcelain is it takes on the look of modelled icing fondant so works in well with cake designs. Just remember its not edible! We not recommend for children under 36 months. Keep long after the cake has finished for some gorgeous memories of the Fairy day.